Hey, everyone! Lost my power last night so this post is a tad late. It came back on while I was sleeping. Please help me welcome Sophia Whittemore, a fellow Clean Reads author. I am very excited about her new novel, Death's Fool--it looks fantastic! I think that Sophia and I have the same taste-- this is a fabulous list of movies!! 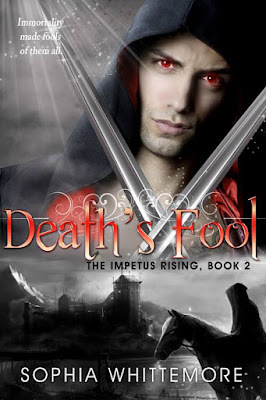 Be sure to check out Sophia's new book, Death's Fool-- what a great cover! Her lover has been cursed. Her mother has been kidnapped. Her best friend’s soul has been stolen and his body deformed. And Diana is afraid that she too is turning into a bloodthirsty monster, just like her father. Awoken from an enchantment placed on her by her treacherous lover, the half-Impetus god, half mortal Diana is flung into a war between mutant shadows and the Impetus beings. Diana must navigate a world where queens torture their faithful knights, human children play with giants, and magic has darkness within it. Diana knows she has some power within her, some sleeping evil that demands to be set free. But is she truly her father, or is she her own person? Secrets are revealed to her about the cursed Prince Isaakios that she never knew before, secrets like the women he once had in his life, or the havoc he once wreaked upon the Earth. How far will this twisted love go for Diana before she is broken? Or will she break before she even gets the chance to save the world one last time? It isn't a laughing matter when Diana starts to see things in the mist which other people don't: monsters, gods, and deadly shadows. Yet now she sees another thing, the world of the Impetus, a reality where humans are enslaved and the once-beautiful gods are actually tyrants. Diana must find a way to escape before the exiled king Fear, a vengeful murderer, hunts Diana down to get back something she's stolen from him. But will her growing feelings for the Prince Isak, the oddly sullen god of comedy, draw her into an all-out war? 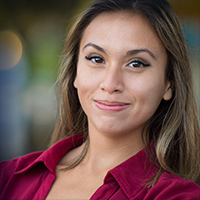 Sophia Whittemore is a Dartmouth student and multiracial author with an Indonesian mother and a Minnesotan father. 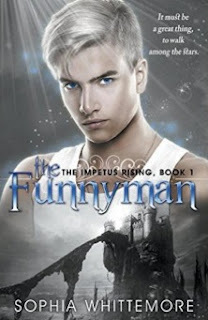 She has had book signings at Barnes & Noble for her Impetus Rising Series, available on Amazon and other outlets, the first book published when she was only seventeen. She has been featured as a Standout in the Daily Herald and a Rad Reads author in Girls' Life Magazine. Her love for the English language manifested itself in eighth grade when she went to the Scripps National Spelling Bee and has continued with other languages such as Spanish and Indonesian. Her prior publications include "A Clock's Work" in a Handersen Publishing magazine, “Blind Man’s Bluff” in Parallel Ink, and winning multiple awards in the Best Midwestern Writing competition for high school writers. She currently resides in Chicago, Illinois with her family and food-loving mini schnauzer called Tiger. Drawing on inspiration from her two cultural backgrounds, Sophia lives a life playing tennis, traveling, and writing about her dual life experiences through other characters in her works or on her blog.